Why are Two-Step Distributors valuable to your business? In today’s DIY/Home Improvement industry, the big box giants represent only a portion of the available retail landscape. Yes – contrary to popular belief – big box stores are not everywhere. In fact, there are over 30,000 independent hardware stores, home centers, farm stores, lumber yards and garden outlets that sell to YOUR customers which can all be reached efficiently through two-step distributors. Two-Step Distributors play key roles in your manufacturing business by servicing smaller dealers, storing and handling your product, and assisting in the launch of your new products in the marketplace. Why do you want to reach your market through Two-Step Distribution? YOU SAVE TIME by not having to invoice hundreds of customers for small shipments. CREDIT RISKS ARE REDUCED by selling to reputable distributors. DISTRIBUTORS PROVIDED MARKET FEEDBACK, which allows you more accurate production planning. Is the Two-Step Distributor selling process different? Yes! The Two-Step Distributor selling process is different, as are the margins. Nevertheless, developing this side of the market is critical to achieve growth beyond the consolidated big box accounts. Meeting directly with the distributor is the first step. How can I meet a Two-Step Distributor? 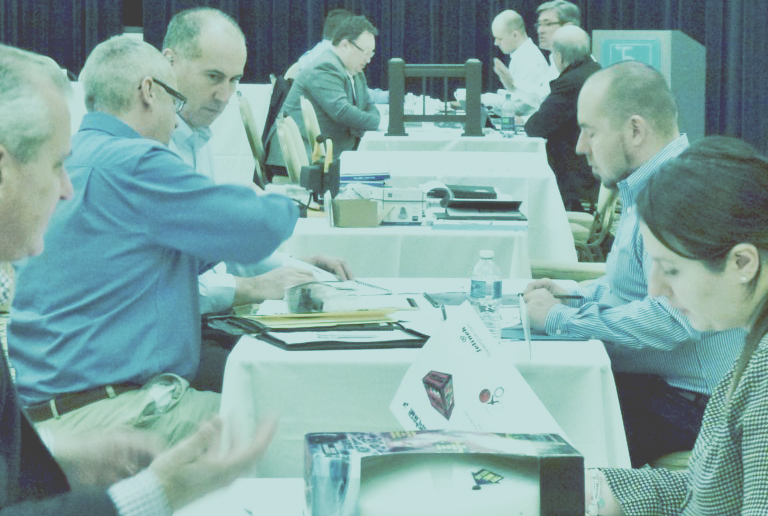 Two-Step Distribution companies such as Jensen, Lancaster, Bostwick-Braun and Monroe Hardware attend trade shows and participate in Presidents Council Buying Days to find new vendors for their members. What happens after a successful meeting with my Two-Step Distributor buyer? After the initial meeting, the sales process will likely involve getting set up with a vendor number and getting through the on-boarding process to be listed with the distributor. Be aware that you may be asked to provide marketing/ad support and there may be other fees above the net/net/net price that you may be using in an FOB program to your big box customers. These include opening order discounts, defective item allowances, rebate programs, etc. Once the program is set, it is likely you will be asked to participate in the distributor’s shows (for a cost, of course). These are buying shows where the stores will place orders through the warehouse or agree to drop-ship your products. These shows offer you, the supplier, a chance to speak directly to the retailers and are a great place to introduce innovative new products. Anything you can do to help distributors manage their risk will work in your favor. Being able to quote both prepaid freight to their distribution center and drop-ship rates to stores will give you an advantage. There are two decision-making levels in the two-step distribution channel: warehouse distribution level AND retail store level. Supplier involvement is needed and important at both.